For the first time ever we have created a full-fledged art experience for the culturally acquainted gamer! You have seen other attempts before: virtual reality experiments in 3d accompanied by trip hop music, like Portishead or Massive Attack, slightly less entertaining than treating epidermophytosis (if you have it, we have not so this is based on what we have heard). Anyway really bad art games, or interactive art, as "they" call it. Until now we have felt sorry for the culturally acquainted gamers, but now there is good news for you at last! There is no excuse feeling sorry for yourself any longer, ART THINGS is here to stay!! 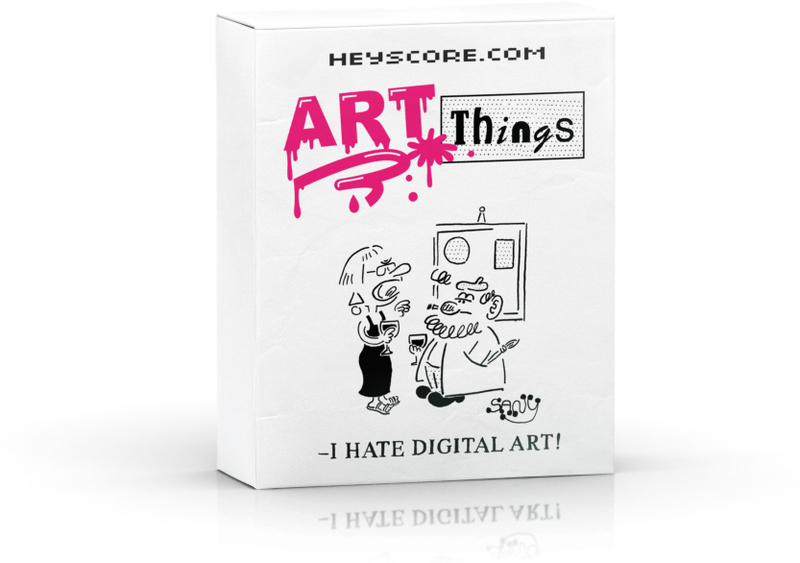 ART THINGS is the first release of the Heyscore.com THINGS seies, a series of games that goes under the slogan: Based on the classic memory game: CHECK, but a hxxx lot more fun!